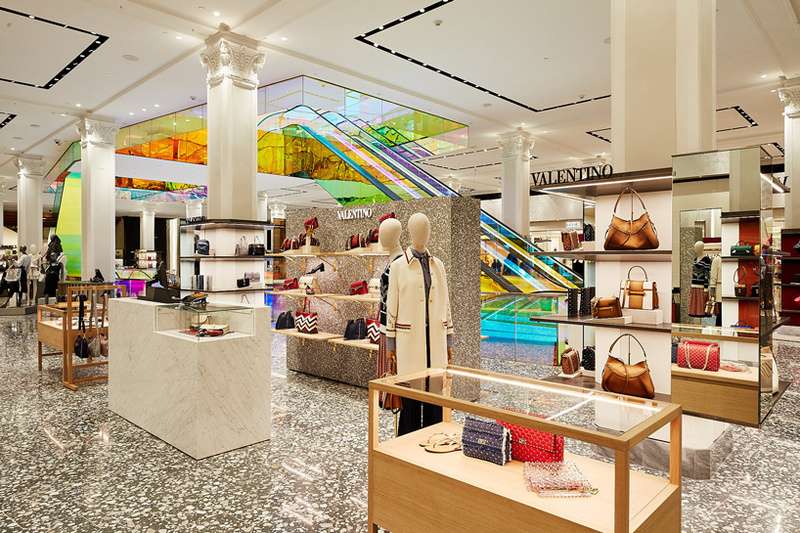 saks fifth avenue has installed a rem koolhaas-designed escalator within its flagship new york location. the luxury department store is currently in the process of renovating the premises, which includes the redesign of its expansive 53,000-square-foot main floor. the project triples in size the handbag department selling space, which now features more than 50 brands — 14 of which are new to the store. the centerpiece of the scheme is an OMA/rem koolhaas-designed escalator, created by OMA in collaboration with saks fifth avenue planning and design. the iridescent dichroic film coated escalators are stacked with open views through the store, visually and physically linking the first two floors, while changing colors as visitors travel between levels. the configuration of the escalators creates a diamond-shaped atrium connecting the main floor with the recently renovated beauty department above. 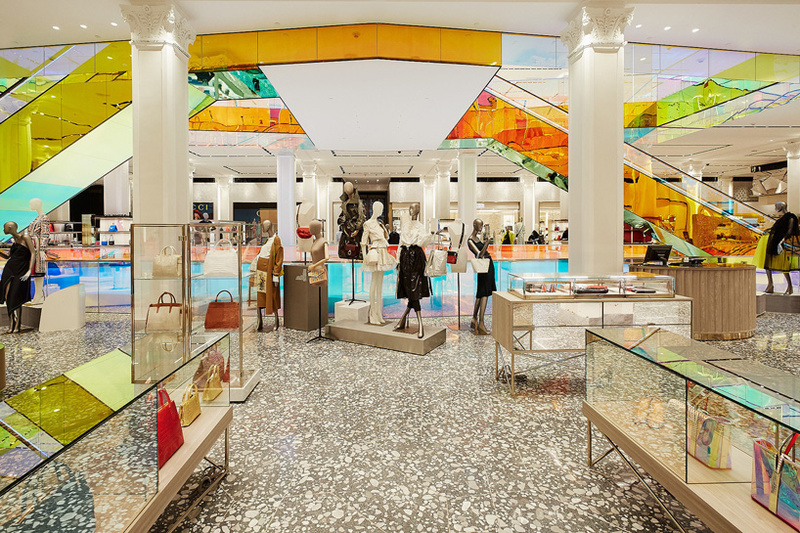 saks worked in collaboration with gensler to overhaul the remainder of the main floor, which includes a new atrium, custom terrazzo flooring from italy, runway-inspired aisles, and a series of ‘experiential installations’. saks is set to debut two additional phases of the renovation later in 2019: the vault, a high-end jewelry experience; and the men’s department.